DigitalGenius is the AI platform that puts your customer support on autopilot by understanding conversations, automating repetitive processes and delighting your customers. The DigitalGenius AI platform is used by KLM Royal Dutch Airlines, The Perfume Shop, Air France and other forward-looking businesses to drive conversational process automation through the use of deep learning. 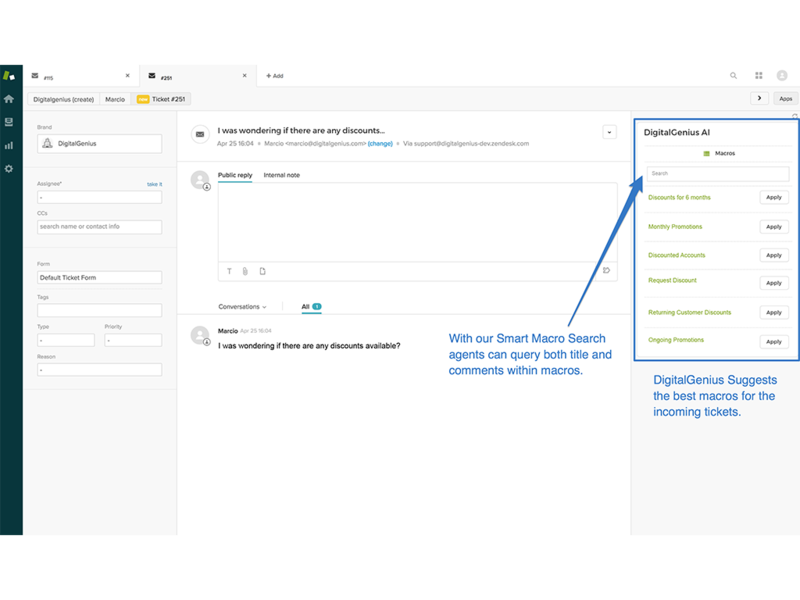 Helps your customer support team use their time more effectively by automatically filling tags, suggesting macros and automating answers to common customer inquiries. Put your customer support on autopilot by using AI that connects your customer conversations with the back-end processes that resolve them. Our proprietary Conversational Process Automation allows repetitive customer queries such as refund requests, order status inquiries and many more to be resolved in full, by connecting our platform to third-party systems via APIs. Available in more than 15 languages, including English, Spanish, French, German, Chinese, Japanese, Portuguese, Finnish, Korean and more. Enhanced reporting and analytics via our Control Center. 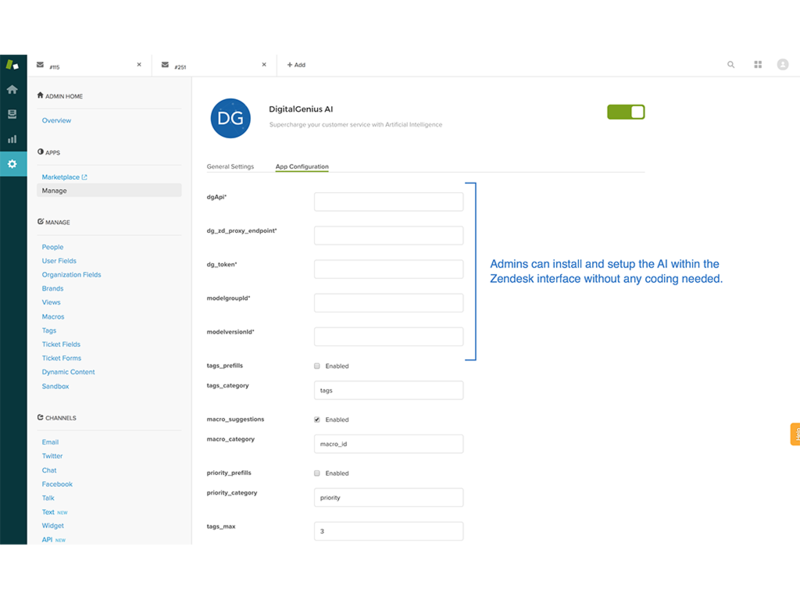 To install DigitalGenius inside Zendesk Support, please reach out and ask to talk with our sales team.